When you are travelling somewhere you can take many roads to get to where you are going. I personally use an app called Waze to cut down my driving time. When trying to transform your physique, tracking body measurements is like using Waze. We are all going to produce results–positive and negative–by the activities we partake in. If you take the time to plan then you should also take the time to measure. I personally measure weight, body fat percentage and my circumference measurements weekly. Here is an example of the spreadsheet I use. This type of tracking really keeps me dialed in. For instance, have a look at the above. It is my actual current log. I am looking to burn fat and maintain the muscle I worked hard to gain. On 2/28/2015 my scale weight increased more than 3 pounds. That immediately concerned me. However, take a look at the body fat percentage. It dropped 1.3% for the week. 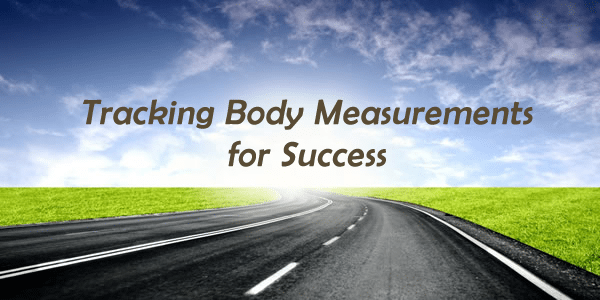 Taking your body measurements on a regular basis is going to be your road map to success. You will know when changes you make are working and when they are not. Instead of taking a stab in the dark, the picture will become very clear to you. It is easy when done this way. I have avoided a lot of stress by using this spreadsheet. I am going to make something like this available in my upcoming membership area here on Fitness Expose. So, if you are not tracking your progress start doing so today. You are going to see that body measurements don't lie and they will guide you towards the right path just like a good road map or Waze.